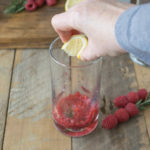 Raspberry rosemary spritzer is a fun mocktail that can be enjoyed all holiday season made with real ingredients. 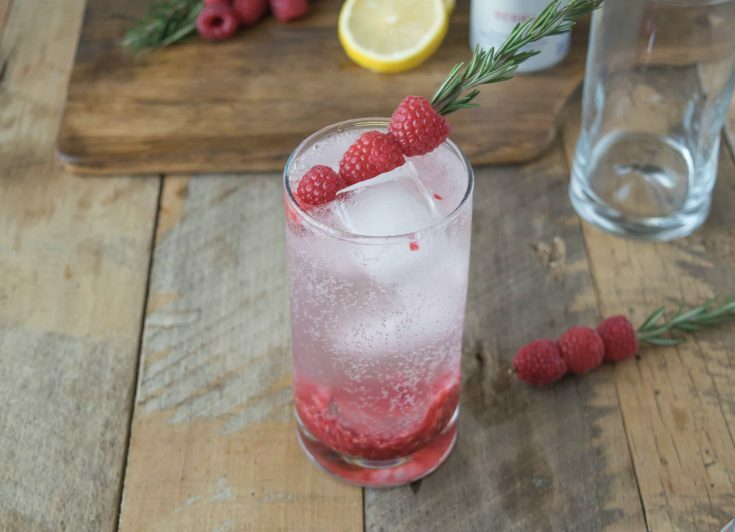 Fresh raspberries, rosemary, lemon and DASANI® Sparkling Berry. As we head into the busiest of seasons for entertaining, it’s time to think about what drinks to serve that will suit everyone. Mocktails are drinks that everyone can enjoy and making them fun and festive with pretty garnishes is a great way to make everyone feel special and have a great time. 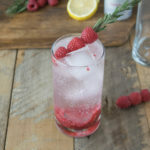 Fresh ingredients really bring this drink raspberry rosemary spritzer to life and will get some oohh’s and aahh’s with it’s cheerful presentation. I’ve never thought about pairing raspberries with rosemary until this recipe and let me tell you, the combination is delicious. 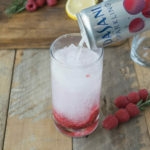 Fresh raspberries are muddled in a highball glass with fresh rosemary and lemon juice then topped off with refreshing can of DASANI® Sparkling Berry along with a fun rosemary and raspberry garnish. A highball glass is the perfect choice for this recipe, because the 12-ounce slim cans are the perfect serving size to fill them. Can’t find fresh raspberries this time of year? No problem! You can use frozen berries, just defrost them first. 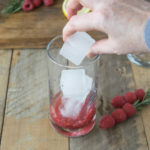 You can even add frozen berries to the drink to keep it cold. The next time you’re in Target, lookout for the DASANI® 8-pack of 12 ounce slim cans in you can find them in the sparkling water aisle. Then, when you’re checking out, look for the NEW 20-ounce DASANI® sparkling cans. Grab one (or 3) and try some different flavors to see which ones you like then pickup an 8-pack of your new favorite refreshing drink. 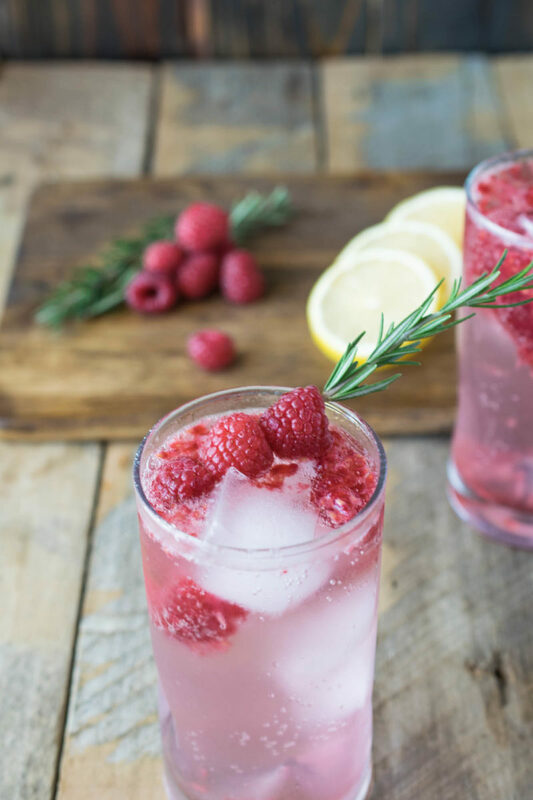 Raspberries, fresh rosemary and Dasani berry make this a lovely refreshing drink. Skewer each rosemary sprig with 3 raspberries, set aside. 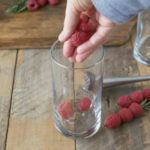 Divide the remaining 10 raspberries and rosemary leaves between 2 highball glasses. 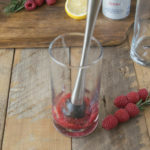 Use a bar muddler and muddle (crush) the raspberries and rosemary to release their flavors. 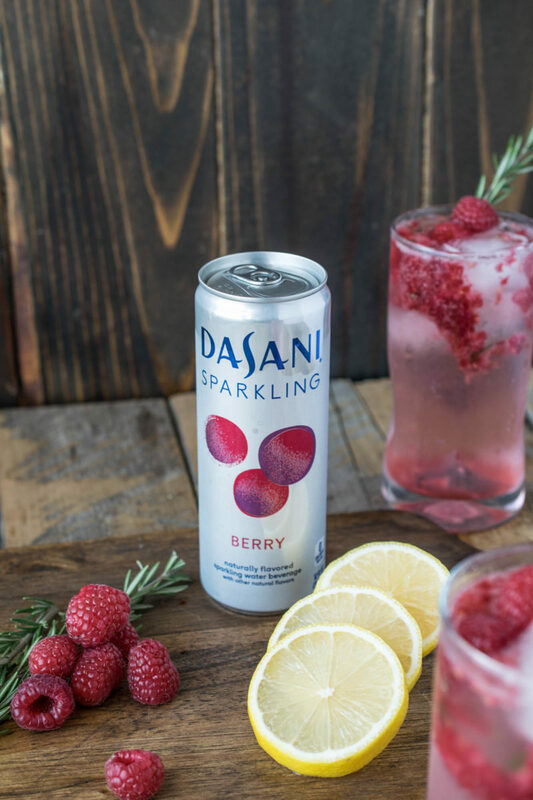 Add lemon juice into the glasses, add ice and fill with DASANI® Sparkling Berry. Garnish with the rosemary/raspberry sprigs. Perfect for Thanksgiving, family get togethers or Christmas, this drink is delightful as it is refreshing and with no added sugar needed it’s waist friendly too! When you entertain for the holiday’s, share with me what fun mocktails you like to serve. Check out more fun recipes featuring DASANI® Sparkling Water here! 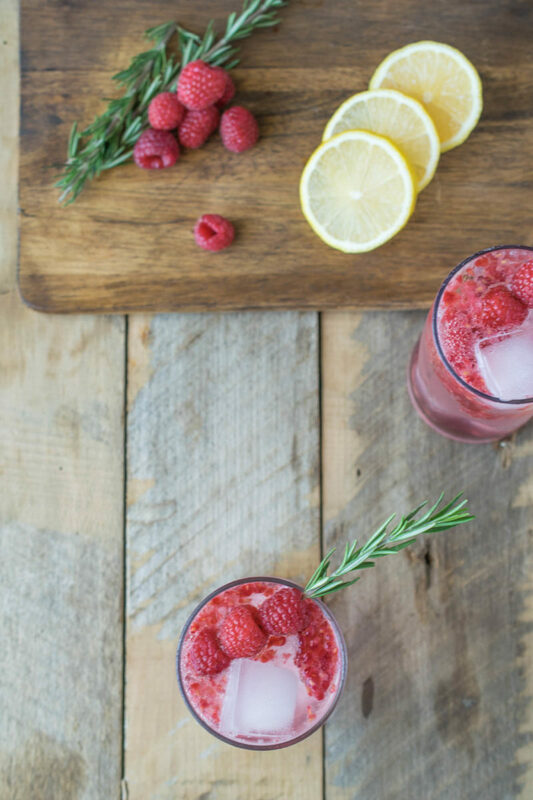 I never thought about pairing raspberry and rosemary together either – it sounds like a wonderful combination! 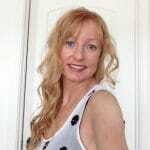 And I love flavored sparkling water – definitely a ‘must-try’! This is so pretty and looks absolutely festive! I can see how it will quickly become the go-to for holiday entertaining! Looks and sounds refreshing. I happen to have a rosemary bush right outside my front door. Sounds perfect! I love sparkling water spritzers , and enjoy finding new flavors. I like the rosemary – like you, I’ve never done that combination before, but it certainly sounds promising! This drink would be perfect to serve in any gathering!! Looks refreshing and delicious! We have loads of rosemary to use up, and this looks like a great way to use it! It sounds very refreshing.